The Saint with no name, Padua, the city of the 3 "without"
Why Padua the city of the 3 without? Padova is famous for being la città dei tre senza (the city of the 3 without). Actually, reading, asking and watching around I discovered that there are other “withouts” in town. Here they are (the first three are the original ones). 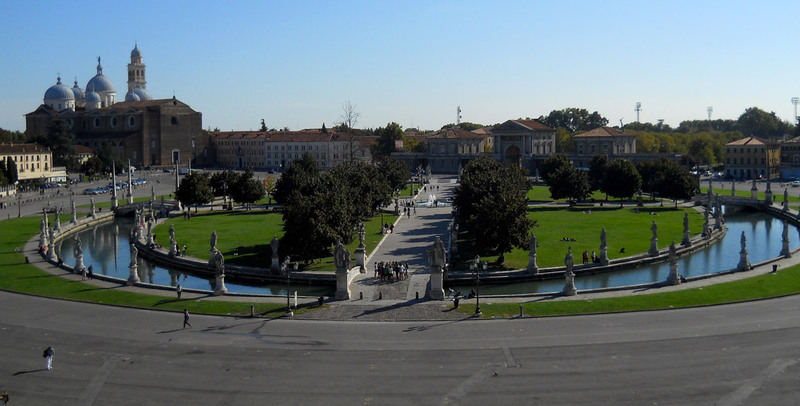 It is Prato della Valle (something like Valley’s lawn), one of the biggest squares in Europe. Until the end of 1700 it was a marshy area and had no grass on it. Now the grass, at least in the centre, there is! 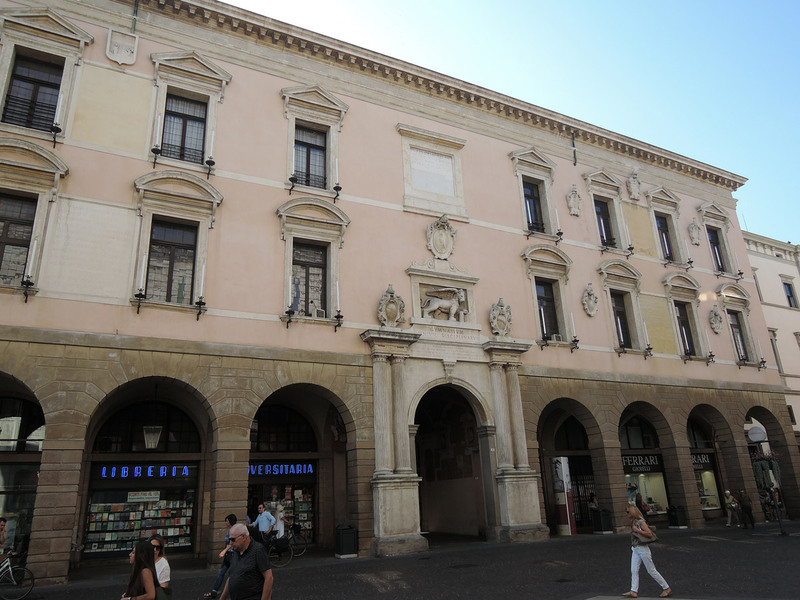 We citizens of Padua call the piazza simply “Il Prato“, the lawn. At its centre there’s a tiny island surrounded by a moat bordered by statues. 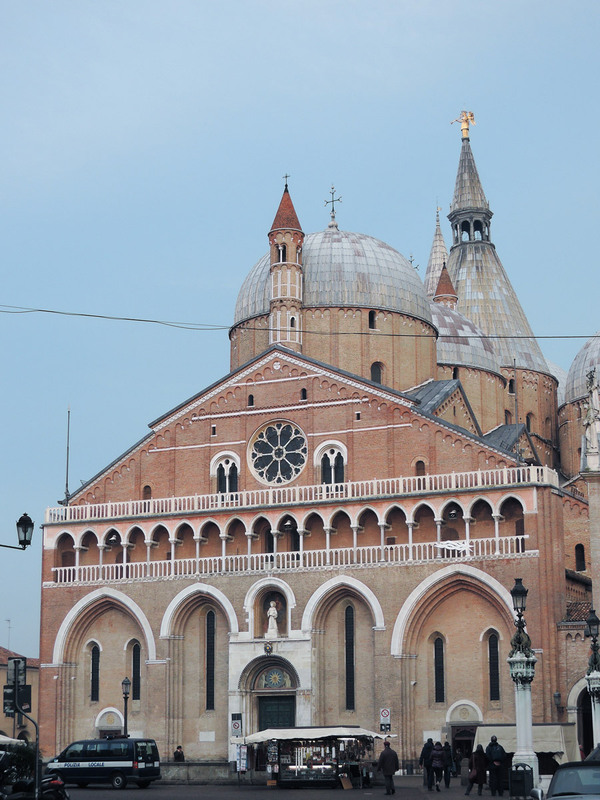 It refers to the Basilica of St. Anthony in Padua. In town, we consider Saint Anthony the saint par excellence and therefore we have no need to name him. We say for example: Ho prenotato un albergo vicino al Santo. I booked an hotel near the Saint. Strange, eh? It is the Pedrocchi Cafè. Once it never closed, day and night (until 1916) so it had no doors. Now it closes at night and plus it has glass transparent doors. 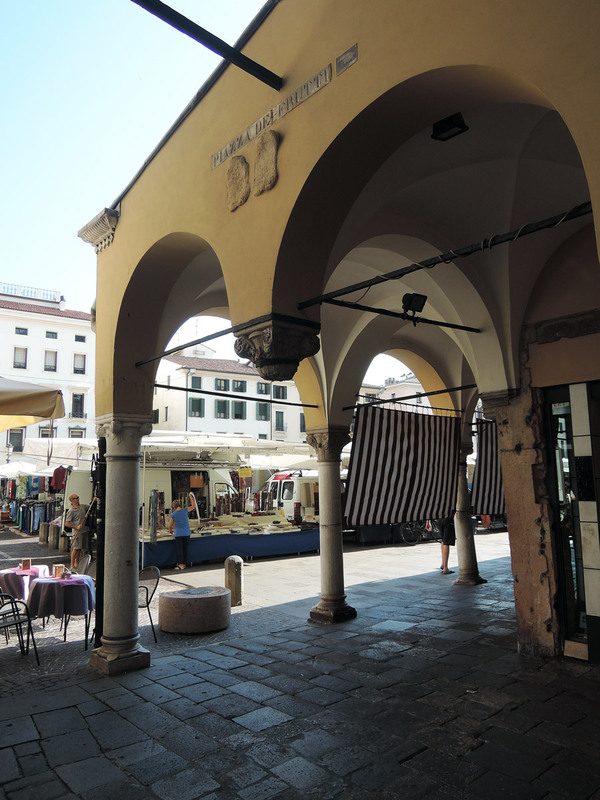 Under Palazzo della Ragione, facing the beginning of via Fiume, you can see a capital without column. It was forgotten on purpose. It was an excuse to say that Vicenza citizens stole it and declare war on them. 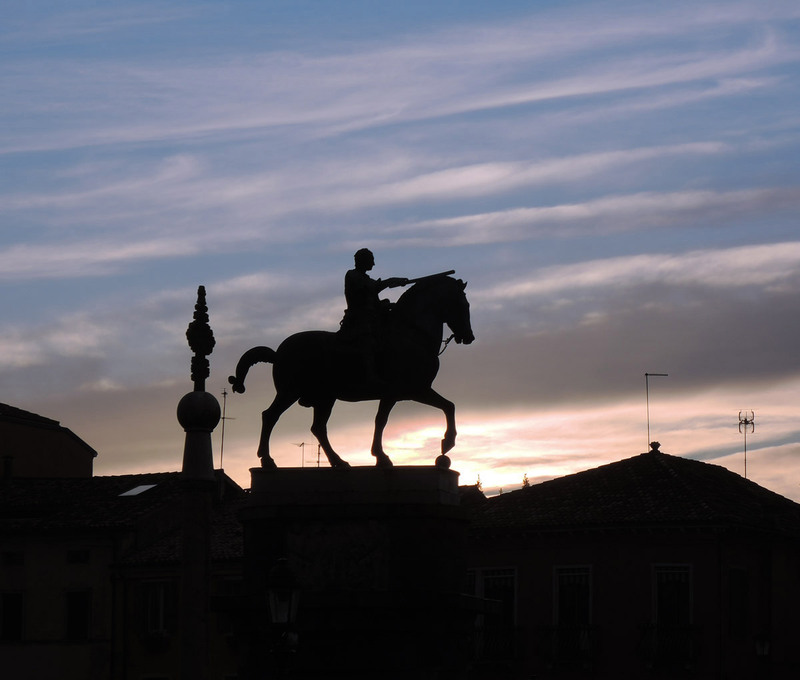 It refers to the statue of Donatello in Piazza del Santo, depicting the leader Erasmo da Narni, known as Gattamelata (something like honeyed cat). According to some people he was named Gattamelata because he was very sweet and polite but also extremely clever. It refers to the building of the University also called Bò Palace (in Italian beef is bue, but in the local dialect we say bò) because once here there was the Ox Inn and its sign was an ox skull (bucranium, now symbol of the Paduan Goliardia), so with no horns. 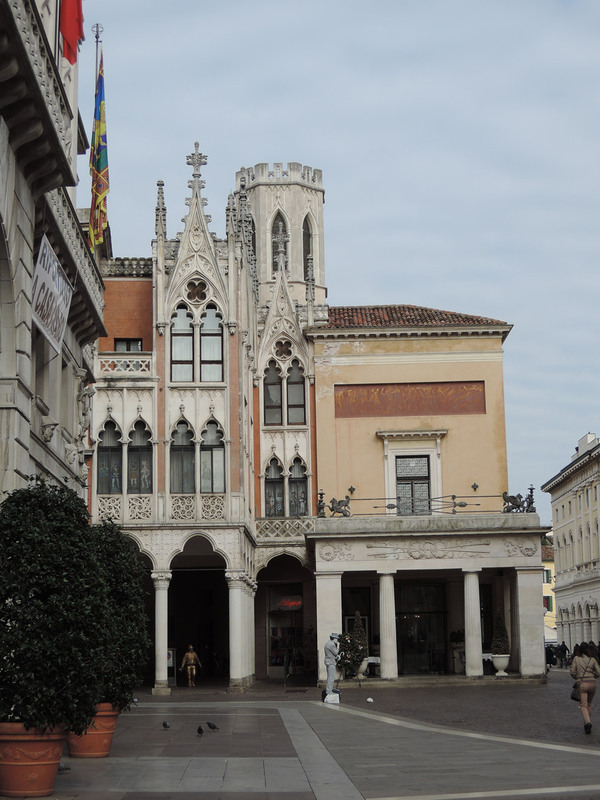 Another story narrates that the lord of Padua Francesco Carrara gave the building to a butcher who made food available for the survival of Padova during a siege. 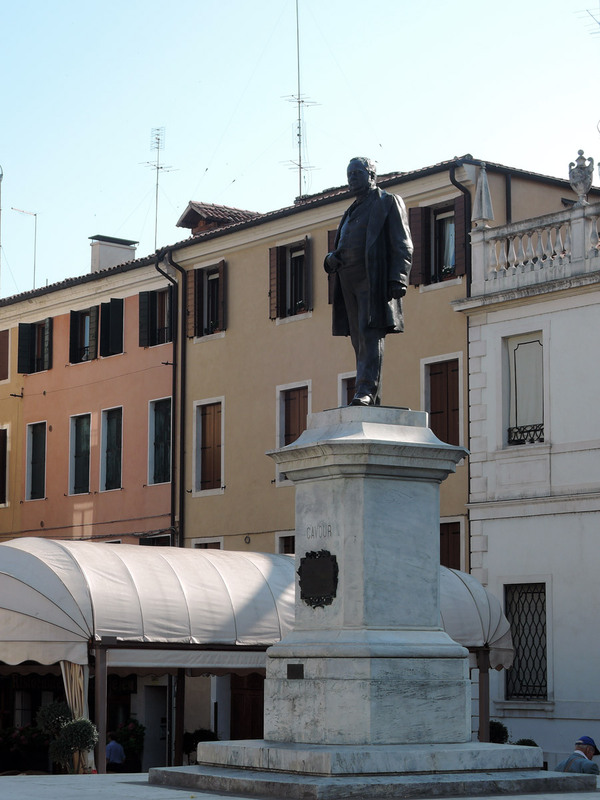 In Piazza Cavour you can find the bronze monument portraying Count Camillo Benso di Cavour. In contrast to the classical iconography, on his nose there are no glasses. The sculptor obtained the face of Cavour by the cast of his death mask. But he, the Paduan Luigi Strazzabosco, made one correction and sculpted the eyes without glasses. 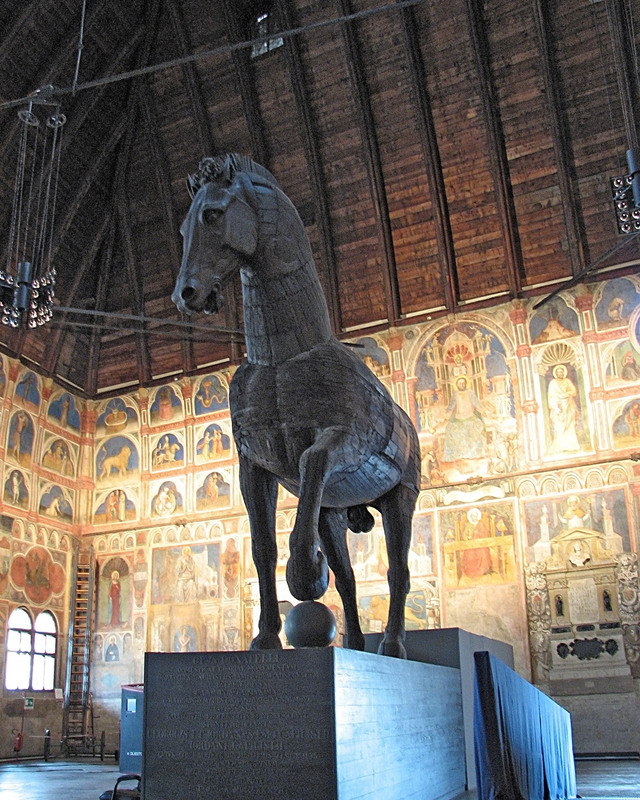 It is the wooden horse kept in the Hall of Palazzo della Ragione. Originally the noble Capodilista family ordered its construction for a carousel. 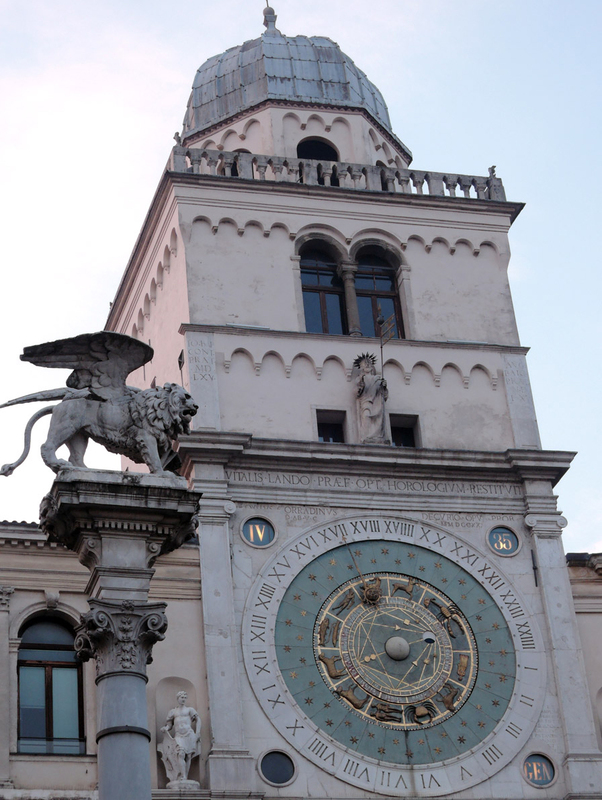 It refers to the clock tower in Piazza dei Signori, where the sign of Libra is missing. Everybody in town knows that the manufacturer was paid less than agreed and took revenge by removing the Libra (symbol of justice). Recently a good friend of mine told me that it is false. The true reason would be that, at the time od its construction, there was no Libra on the zodiac! I don’t know if it is true or not… plus, I liked the first story better! I bet that many Padovani (citizens of Padua) ignore some of these! For example, I only noticed the capital without column a few days ago walking around town and I searched infos online. If you have problems finding them feel free to ask!